A local entrepreneur is using his extensive knowledge and skill in information technology (IT) to launch two new business platforms in interactive learning and real estate. Last Monday, December 5, Maurice John Jr â founder of M John IT Solutions â launched RUTH Learning and CaribiDreams at the Browneâs Building on Grenville Street. He explained that RUTH Learning, a partnership between himself and Azonya Vanloo, is an interactive educational platform, aimed at improving literacy and learning outcomes for students by allowing teachers to track studentsâ educational development, and by allowing administrators to âmanage academic progressâ. He also said that the learning programme would be delivered by M John IT Solutions, and will be rolled out in select schools across the multi-island state. âItâs a dimension to learning that we should embrace. We go to school, we read books, but really and truly that is not how the world actually does it anymore,â he insisted. 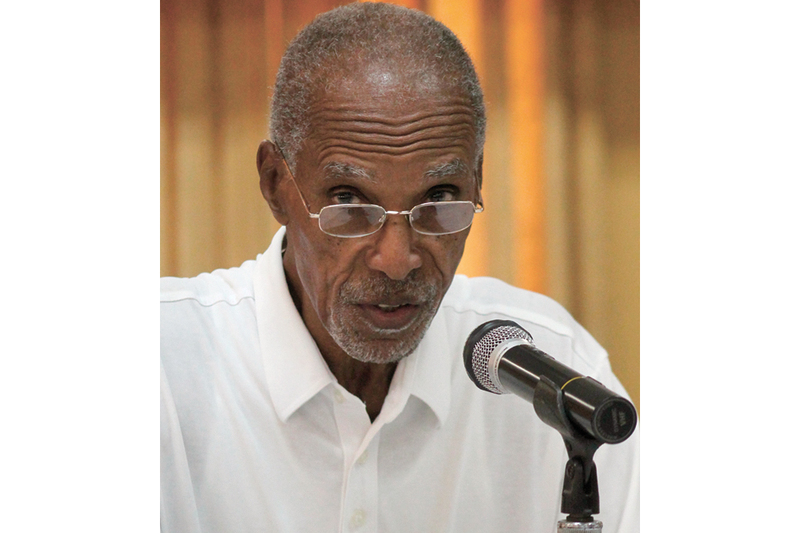 John noted that learning has taken on a more interactive nature within the global community, and this is something that St Vincent and the Grenadines (SVG) should be looking to adopt within the education system. John also presented LINDA, a virtual assistance programme that he created, which would be utitlized within the RUTH Learning programme, as well as within his real estate service CaribiDreams. He explained that LINDA can process natural language, sense emotion, analyse personality, process large data, and convert documents â among other functions; making it the perfect accompaniment to his two new business ventures. The IT specialist elaborated that CaribiDreams is an amalgamation of real estate, IT, Artificial Intelligence, virtual reality, and law â which has never been seen before in St Vincent and the Grenadines. Described as a âgame-changing platformâ, CaribiDreams is structured to bring various island states together âto offer a unique real estate productâ. On this venture, John has partnered with professionals in SVG and throughout the region, with the aim of becoming the next largest real estate company in the region that âoffers a complete packageâ to clients. He also shared that he has plans to integrate LINDA within future business ventures that include travel and insurance.